Hi. 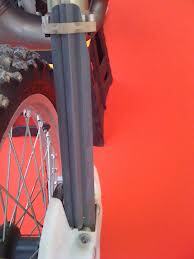 Still looking for at set of guides for the TVM forkguards (for a set of 1989 USD Showa forks - CR500). Also NOS plastic and frameguards will be considered - all for 89' CR500. Thanks !